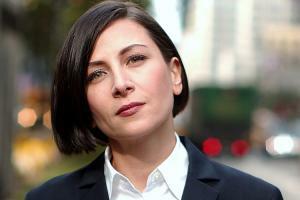 See the gallery for quotes by Donna Tartt. You can to use those 5 images of quotes as a desktop wallpapers. On the other hand, I mean, that is what writers have always been supposed to do, was to rely on their own devices and to - I mean, writing is a lonely business. The Little Friend is a long book. It's also completely different from my first novel: different landscape, different characters, different use of language and diction, different approach to story. Well, I do have some maiden aunts that are not quite like the aunts in the book, but I definitely do have a couple of them, and a couple of old aunties. You are - all your experience just kind of accumulates, and the novel takes a richness of its own simply because it has the weight of all those years that one's put into it. Everything takes me longer than I expect. It's the sad truth about life. 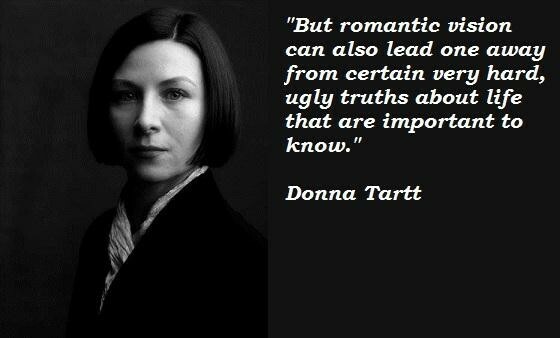 Much more quotes by Donna Tartt below the page. 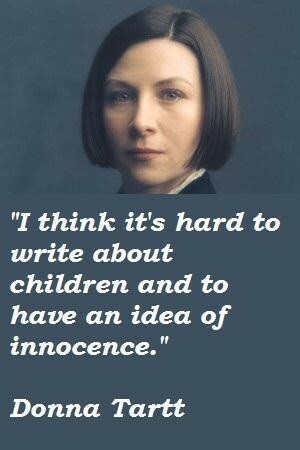 I've written only two novels, but they're both long ones, and they each took a decade to write. Sometimes you can do all the right things and not succeed. And that's a hard lesson of reality. 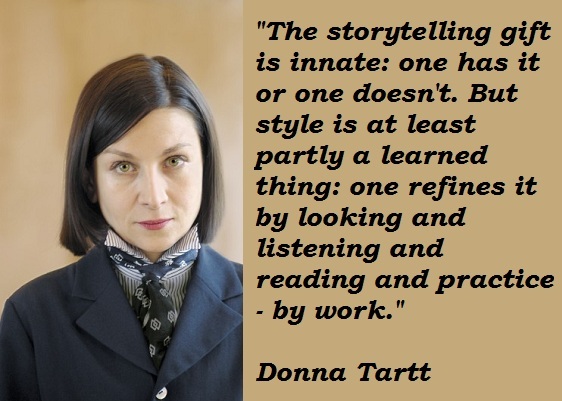 Storytelling and elegant style don't always go hand in hand.